The county of San Diego announced Thursday that it’s seeking input from residents on a plan to address climate change in unincorporated areas. A 45-day public comment period will run through Sept. 25 for the plan, which seeks to reduce greenhouse gas emissions from 2014 levels by 2 percent in 2020, 40 percent in 2030 and 77 percent in 2050. 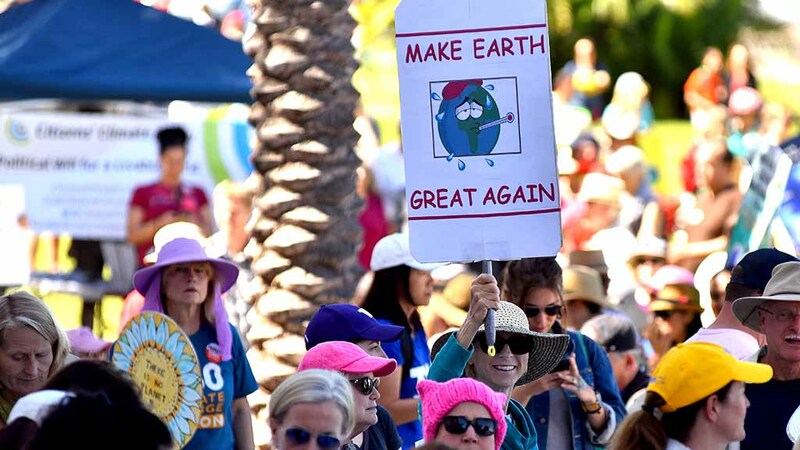 The targets are “appropriate” and the proposal appears to be an improvement over previous county efforts, Nicole Capretz, executive director of the San Diego-based Climate Action Campaign, told City News Service. “It does seem like they’re moving in a better direction,” Capretz said. She said that after an initial perusal of the document, her concerns were a lack of action on the use of cars and concrete steps to reach the 2050 goal. According to the plan, “on-road transportation” causes 45 percent of greenhouse emissions in the county, with an additional 24 percent the result of electrical generation. Another 11 percent is emitted by landfills. County officials acknowledged several constraints when creating the proposal — among them the far-flung and diverse nature of unincorporated communities and a projected increase in the unincorporated population from roughly 455,000 people to more than 600,000 by 2050. Capretz said county officials can offset some of the problems by keeping new housing developments near existing travel corridors, as called for in its general plan. The climate change proposal can be viewed online at www.sandiegocounty.gov/pds/advance/climateactionplan.html. Written comments on the draft documents can be submitted to CAP@sdcounty.ca.gov. The county Planning Commission and Board of Supervisors are scheduled to hold hearings early next year.